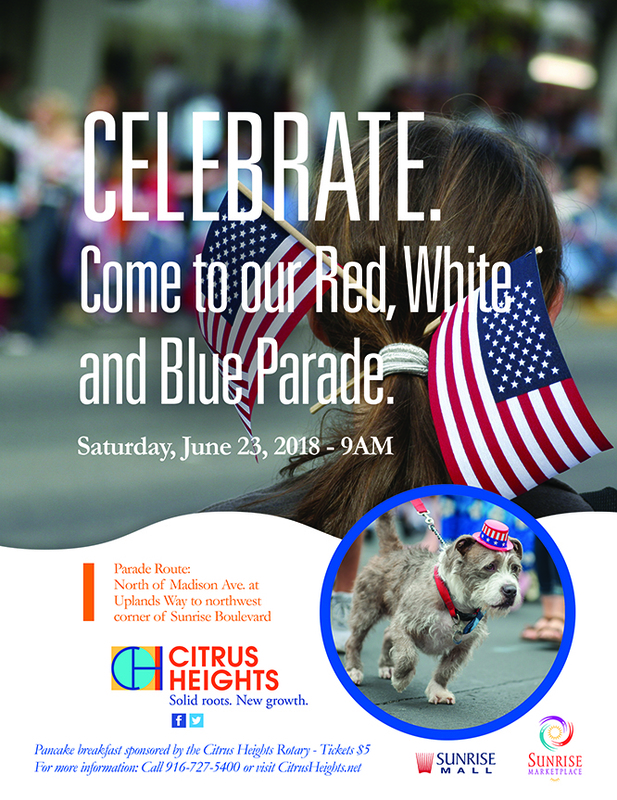 Celebrate Citrus Heights and our great community at the City’s annual Red, White and Blue Parade. Parade Route: North of Madison Avenue at Uplands Way to the northwest corner of Sunrise Blvd. Pancake Breakfast sponsored by Citrus Heights Rotary Club. Tickets are $5. For more info call 916.727.5400 or visit www.citrusheights.net.